Rietumu was hit with a large fine by a French court but is still yet to pay any of the €80 million back. This article is part of our special report Latvia: the eurozone thriller. Despite early warnings, the European Central Bank (ECB) only looked into the Latvian finance sector after the United States blocked trade with Latvia’s third-largest bank. “In addition to discriminatory measures by the Latvian Financial and Capital Market Commission, we have received requests for bribes and attempts at extortion by several high-level Latvian officials,” says a letter sent by a bank to the ECB president on 24 November 2017. This letter did not generate any reaction from Frankfurt, although the ECB is responsible for supervising the major banks in all eurozone countries, including Latvia. When questioned by EURACTIV, the ECB declined to comment. Worse still, it was the United States that reacted by severely scolding the second largest Latvian bank, ABLV, last winter, accusing it of both corruption and money laundering. This led to a cascading crisis: the immediate capital flight from ABLV and other Latvian banks forced the ECB to impose a suspension of payments on the bank. In other words, its immediate closure. A wider crisis was narrowly avoided: the ECB limited the damage. But its mission to ensure confidence in the euro suffered a blow. In Riga, the incident is a painful memory. “It was a bombshell,” acknowledged MP Ainars Latkovskis, the head of the Commission of Defence, Home Affairs and Corruption Prevention, in one of the parliament buildings in the old town. The US State Department assured that it “had every reason to believe that ABLV institutionalised the practice of laundering as one of the bank’s pillars of practice” while engaging in corruption. “Latvia has been the ‘Switzerland of the Baltic states’. The other European countries were making fun of us but that is what was happening. During a trip to the United States, a civil servant in the Treasury told me that the country was compensating 1% of the American dollars in circulation. The problem is that the inspection services were not monitoring,” acknowledged Latkovskis. The official excuse, used repeatedly by the Latvian government was that the country’s anti-money laundering was quickly outpaced by a growing banking industry, which rushed into high-risk activity following the 2008 financial crisis: providing a bridge between the countries of the former USSR and the rest of the world. The assets of non-residents in Latvian banks, which the government wants to reduce to 5% of the total, have represented up to 40% of total capital. This was not a major problem for the ECB when the country joined the eurozone, which was celebrated with much pomp in Frankfurt in 2014. That was three years after Estonia had joined the single currency and a few months before Lithuania. President of the European Commission Jean-Claude Juncker also saw fit to give a former Latvian prime minister, Valdis Dombrovskis, the title of vice-president for the euro when the Luxembourger started his mandate in 2014. However, in Riga, for financial matters, the government’s and finance specialists’ main interlocutor is neither Latvian nor European. It’s a minister from the American Treasury: Marshall Billingslea, assistant secretary for terrorist financing. This former NATO staff member did not go to great trouble to take care of the banks which he accuses of having contributed to the financing of the North Korean weapons programme, laundered money from bribes by Ukrainian oligarchs and having intervened in the Moldovan bank case. Having visited the small capital many times, he has increased the number of his vocal statements, including on public television in May last year. “We really want our allies to take measures [against money laundering and the financing of terrorism]. If they don’t, or if we lose confidence in the process, we will take measures. That is what happened to ABLV,” he stated. In contrast, the European institutions’ discretion towards the matters of money laundering and corruption is remarkable. The ECB remains ineffective in the field of money laundering; indeed, the monitoring of financial flows remains the preserve of member states, against all logic. Moreover, the Commission has not expressed the slightest criticism either, merely asking for Latvia to transcribe the Fourth Anti-Money Laundering Directive. The European Parliament is ultimately the only institution to have seriously addressed the subject and to have attempted to make things happen. Questioned by an MEP during a hearing at the Parliament, Pēters Putniņš, the chairman of the Financial and Capital Market Commission (FKTK, or “foutouk” in Latvian) had to confirm, for example, that he was aware of the indirect links between ABLV and the North Korean weapons programme before the American Treasury lost patience. It was also the Parliament that questioned Danièle Nouy, chair of the ECB Supervisory Board, on two occasions and then ECB boss Mario Draghi himself on the subject. “There is certainly a real problem with money laundering monitoring in Europe. In Riga, Russian money is everywhere and so are Russian interests. It is imperative that an authority for monitoring money laundering is established at the European level,” said Sven Giegold, a Green MEP and member of the TAX3 committee. The hypothesis of such a structure is currently under discussion in a working group assembled by the Commission, which will meet in September. In its absence, the risk of money laundering in Latvia has long remained undisclosed. Except in France, where the name of Latvia immediately raises the suspicions of the Parquet national financier (PNF). 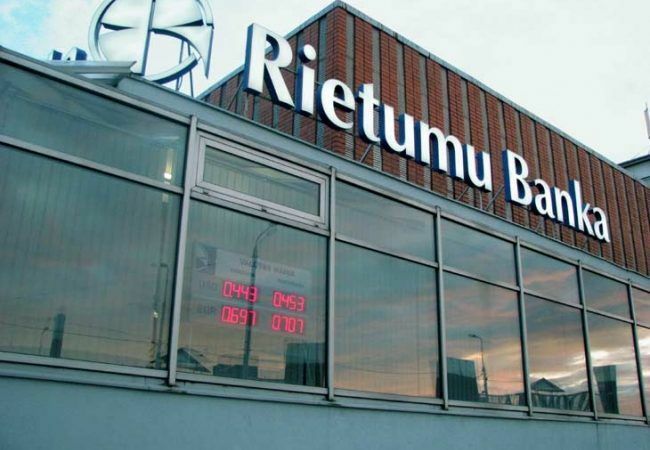 During the VAT fraud on CO2 incident in 2008, the second largest bank in Latvia, Rietumu, had laundered millions of euros from VAT fraud, without even the slightest pinch, between Riga and Paris. The company French Offshore, in league with this Latvian bank, canvassed its potential customers using e-mails with the letterhead of the Latvian embassy in France. “The bank had established a representative office in France and not a bank, which enabled it to avoid the monitoring of the French authorities,” explained Patrice Amar, the prosecutor in charge of the “France Offshore” case at the PNF. The bank office in question merely distributed bank cards to France Offshore customers, a dispensary specifically established to carry out so-called tax optimisation. The dispensary encouraged its customers to create companies in Latvia backed by Rietumu bank accounts. The cash was then withdrawn from the companies using the French bank cards. 349 accounts were created on that occasion. In France, the Court of Paris hit Rietumu with a fine of €80 million. “It is slightly less than half of the total amount that was laundered. But the bank has not paid anything so far, they have appealed the decision,” prosecutor Amar clarified. No Latvian authority batted an eyelid at the sudden creation of many companies in Riga by French citizens. No admonition was given to Rietumu either. The millions of euros withdrawn from cash machines in France through the Latvian bank are still out there. In the eurozone, banking regulation need only sin in one country to make the 18 others pay the price. Find the third part of this series on Latvia on EURACTIV on Thursday. I am having a great success in trading when I discovered the site called Emini S&P Trading Secret. I have each of their four courses and now exchanging for myself. Good forbid this is not a systemic issue. Only the lack of rule of law in Poland is worth launching ‘European’ initiatives!!! What about the Banks in Germany and in France. Is there any ‘collaborative’ GONGO looking at them? When Latvia regained its independence in 1991 its strategy was to be a bridge between the West and Russia and other former Soviet Republics. A key building block of the strategy was banking – to become a “Switzerland”. The Soviet Union did not have a modern banking system. Latvia, could become a regional financial center serving the interests of Russia and beyond by developing a modern banking system. Amid the collapse of the Soviet system this generated wealth in Latvia with its growing ties to banks in Europe and the U.S. The U.S. has unique visibility on money laundering because it can track who sends money, who are the intermediaries and who are the final recipients via the SWIFT system and other tools that every country does not have access to. North Korea has an economy that exports goods and imports others. Even under the maximal sanctions at present some transactions are allowed. Processing payments for sanctioned products is viewed as a crime. The traders involved want to be paid so they use whatever channel is available. If the U.S. with its visibility identifies funds flows from N. Korea or other disallowed sources, by international agreements Latvia has the obligation to stop them. If stopping the funds flow sometimes in the billions puts the bank out of business this creates pressure on local authorities. Why should a rush of French companies doing business in Latvia after the financial crisis of 2008 have been seen as alarming? All business would have been welcomed in a situation where th science budget of the country had to be cut by 63% to survive the debacle. As time progressed oil prices surged amplifying oligarch wealth in Russia. To avoid paying Russian taxes they funneled their money to the West. Latvia, Cyprus, Malta and other countries were used. Tens of billions flowed through the banks. This does not mean that the bankers that managed the flows in Latvia were corrupt. They were paid to provide a financial service. The UK was the recipient of considerable funds with Russian oligarchs buying castles and soccer teams. The individuals that avoided paying taxes in Russia committed a clear crime. The provider of financial services needs to be informed that a specific transaction may be from illegal activities and treat it accordingly. It is good that entities such as the U.S. watchdogs that have the visibility are informing banks to take action. Latvia’s initial strategy of being a bridge and reginal financial center clearly needs to be fine tuned.